Brick and mortar stores aren’t exposed to the kind of payment processing risks an ecommerce enterprise and particularly high risk merchants face on a day to day basis. You want to keep the chargebacks at the minimum, don’t you? High risk merchant account companies employ all sorts of techniques including validation of credit cards, identification of proxy servers and IP address detection to do exactly that. Is your merchant account protected against potential frauds that are possibly easy to execute simply because of the lack of safe practices on part of a merchant account service company? To begin with, you need to be careful when dealing with any credit card transaction through your high risk merchant account that involves an anonymous email id. Also be wary of accepting credit card owners who provide unverified phone numbers, addresses (billing or shipping) and zip codes. You need to have a clear policy on the subject and the merchant account company need to have clear answers on this. Is Credit Card Validation System in Place? High risk as well as low risk merchant account holders must have a robust credit card validation system in place. 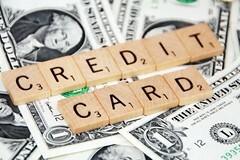 Such a system verifies the personal details of a credit card owner. You may even want to add a filter that prevents transactions from certain countries wherefrom chargeback occurrences are more common. With IP address detection system in place, filtering out credit card transactions that might possibly be deemed as illegitimate in near future is a little easier. Merchant account service providers make use of geo-location or Internet Protocol (IP) tracking technology for this purpose. You’d know the country from where a payment request is originating from. At times, its possible customers are not accessing your ecommerce portal directly. They might be using a proxy server in order to hide their real IP address. In some cases, users simply don’t have a choice if they’re connected to a Local Area Network (LAN) or Wide Area Network (WAN), serviced by a local internet service provider having just one common IP address. Of all technical measures taken to avoid fraudulent transactions, detecting IP addresses and proxy servers is most difficult. A credible high risk merchant account service provider employs advanced mechanisms to minimize chargebacks for its customers. This is the reason why it’s important to always deal with companies that have a reputation and proven track record instead of those who provide nearly identical merchant account services at much cheaper price. When you first begin to speak to high risk merchant account companies, make it a point to ask about the safety and filtering mechanisms they have in place to prevent fraudulent credit card transactions. Jason Simms is the owner of AMSLV and an expert e-preneur on e-payment processing systems & high risk merchant accounts. Based in California, he has worked as a consultant with dozens of small and medium scale businesses in the US since 2003.